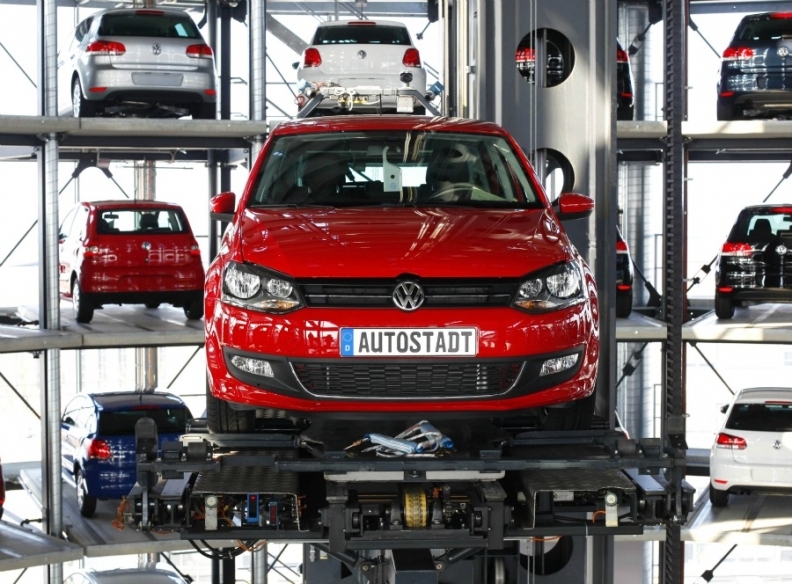 VW's Golf remained Europe's No. 1-selling car last year despite a 2% sales decline. Editor's note: An earlier version of this story stated incorrectly that the Peugeot 207 dropped to tenth place in 2011 from sixth place in 2010, when in fact it fell to eighth place last year. FRANKFURT -- The Volkswagen Golf was Europe's best-selling model in 2011, taking the No. 1 spot for the fourth year in a row, according to data from JATO Dynamics. Sales of the sixth-generation Golf, which debuted in 2008, fell 2 percent to 484,547 units in Europe last year, but the Golf kept its No. 1 spot despite the decline, which is typical for a model that is nearing the end of its product cycle. Volkswagen plans to debut the seventh-generation Golf at the Paris auto show in September. Polo sales rose 1 percent to 356,490 units, while the Fiesta's volume fell to 348,465 from 401,919 in 2010. Overall in 2011, European new-car sales fell 1 percent compared with 2010 as ongoing economic challenges in the euro zone weighed heavily on consumer spending in the region. In Europe's five largest markets, Germany was alone in experiencing growth last year with sales increasing 9 percent to 3.17 million units. "Germany is clearly leading Europe in terms of a market for new cars as well as manufacturing models which appeal to consumers across the region. This is even more impressive considering the challenges we saw in the overall European market during 2011,'' Gareth Hession, head of research at JATO, said in a statement. Germany's Volkswagen, BMW, Audi and Mercedes-Benz were the only brands among those in the top 10 in sales to avoid a volume decrease. VW finished the year as Europe's best-selling brand with a volume of 1.68 million units and a share of 12.4 percent. The Peugeot 207, which was Europe's best-selling car in 2007, fell to eighth place from sixth place in 2010. There also was positive news for some models outside the top 10. Sales of the Peugeot 508 were nearly three time greater than those of the model it replaced, the 407. Other models that recorded significant sales increases in 2011 were the new Ford C Max/Grand C Max, Citroen C4, BMW X3 and Kia Sportage.